Selangor Menteri Besar Azmin Ali has revealed that the state would acquire water assets held by Puncak Niaga Holdings Bhd and Syarikat Bekalan Air Selangor Sdn Bhd in its move to expedite the long-drawn water consolidation exercise. – The Malaysian Insider file pic, May 21, 2015. Selangor Menteri Besar Mohamed Azmin Ali today said to expedite the long-drawn water consolidation exercise, the state would first acquire the water assets held by Puncak Niaga Holdings Bhd and Syarikat Bekalan Air Selangor Sdn Bhd (Syabas). But he declined to comment on the water treatment concession owned by Syarikat Pengeluar Air Sungai Selangor (Splash), in which Gamuda Bhd owns a 40% stake while the state holds 30%. Splash has rejected the state’s offer citing the reason that it was a raw deal. Consequently, this has hindered the progress of the consolidation exercise. Meanwhile, Puncak Niaga, which already obtained shareholders’ approval to sell its water assets to Selangor government, revealed in an announcement to Bursa Malaysia that it was likely to ask for a higher offer. “We’ve (the federal and state governments) agreed that everything must be resolved by mid-June. The first phase is to buyout Puncak Niaga and Syabas. By mid-June specifically before Ramadhan which falls on the 18th. 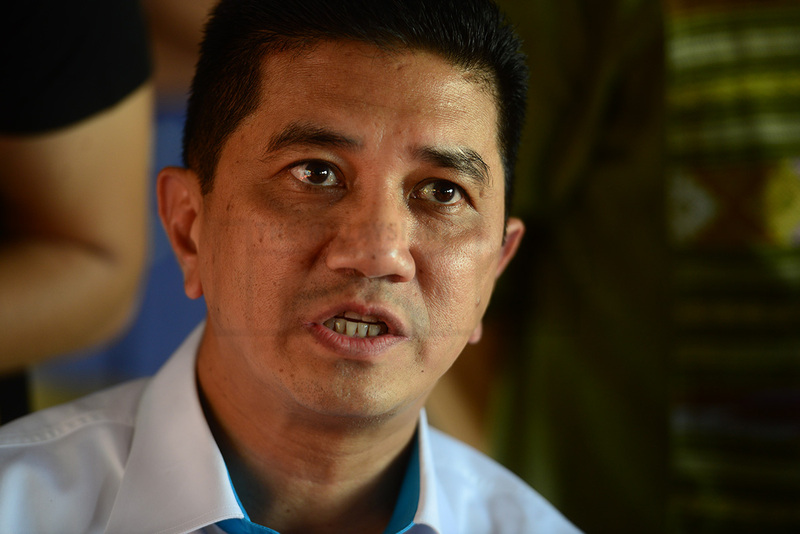 I have told the minister and he has agreed,” said Azmin. This comes following Energy, Green Technology and Water minister Datuk Seri Dr Maximus Ongkili’s statement yesterday saying that both federal and state governments have agreed to resolve the Selangor water impasse within two months. Azmin remained tight-lipped on the details of the master agreement and did not specify whether a new agreement would be drafted, or there would be additional clauses added to the existing agreement to address the differences between the governments. According to Azmin, Ongkili will be tabling the agreement in parliament next week. Separately, the Selangor state government has incorporated a new state wealth fund, Darul Ehsan Investment Group (DEIG), to consolidate and rationalise the states assets which is valued at some RM30 billion. Azmin Ali said that Selangor has a huge group of companies and this new initiative will rationalise all its assets to form a strategic business alliance between all of the states government-linked companies (GLCs) with DEIG. Under Selangor’s GLCs, there is an estimated RM25 billion to RM30 billion worth of assets which can be seen from property development, mining and mineral, infrastructure, waste management, real estate, media and communications and education. – The Edge, May 21, 2015.